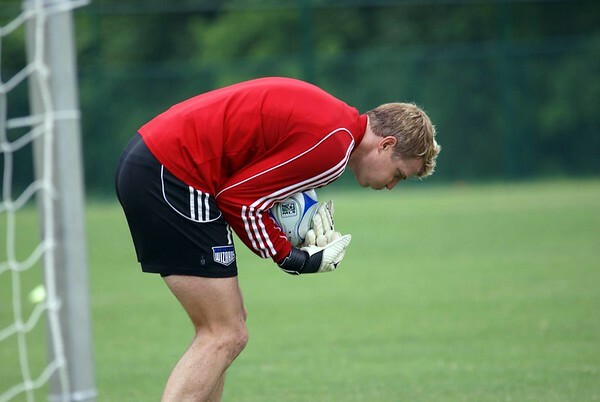 Don't worry, number one keeper Kevin Hartman kept busy after the main scrimmage as well. Coach Tenney worked him out with a number of shots. He saved most of them (I think this one got past him).